With 50% Indian states ratifying the GST (Goods & Service Tax) Bill and the President’s nod of approval towards implementation, the government has begun the groundwork for creating a secretariat to cater to the GST Council. This has been constituted for the Constitution Amendment Bill enabling realization of the proposed tax. 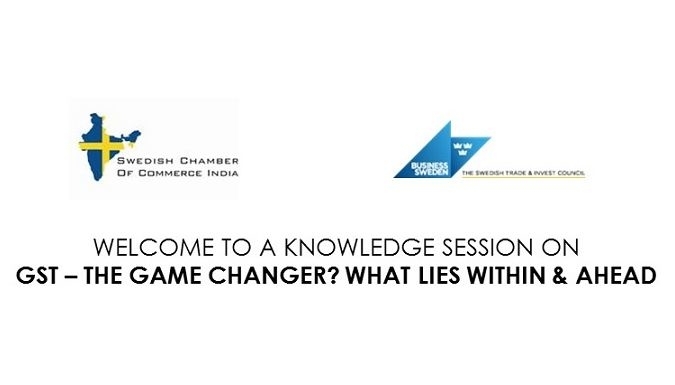 The Swedish Chamber of Commerce India in collaboration with Business Sweden and Knowledge Partner KPMG, is pleased to invite you to a discussion on GST.